There was an amusing incident while the picture [“The Paradine Case”, 1947] was in its early stages. In fact, principal photography had begun. David [O. Selznick] had signed up a famous Italian star, Alida Valli. She was still in Rome when the picture started but she was to have a principal role. The problem was to get her to California in time. Arrangements were made to fly her and her family to Los Angeles on Sunday afternoon. David had never seen Alida in person and now that he was committed, he began to be nervous, but he had no choice. For some reason, he didn’t want to meet her upon her arrival. The chore was given to Dan O’Shea and myself. We had made reservations for a bungalow for Ms. Valli at the Beverly Hills Hotel. Dan and I would meet her at the hotel rather than the airport. We met each other at the hotel, looked over the accommodations, saw to it that fresh flowers were in all the rooms, and went into the Polo Lounge to have a drink. It was a hot, muggy, lazy Sunday afternoon. We sat in that cool, nearly empty bar and talked about what a coward David was not to meet his new star. We agreed that what was bothering him was perhaps she wouldn’t be what we all had hoped for. Suppose, for instance, she didn’t speak good enough English? We had been assured that she spoke perfect English. Anyway we talked about David giving us all the dirty jobs, like meeting Italian movie stars on Sunday afternoons, and generally how David took advantage of us. It was the usual Irish kind of bull session, with several drinks. Out of it came a wonderful idea. We would call up Central Casting and hire two Italian characters. The woman would be fat and only able to speak halting English. The man would be the typical loud-talking Italian who spoke in a broad accent and waved his hands wildly while he talked. In the morning we would introduce the two characters to David as Valli and her husband. The beautiful Alida Valli arrived, a little the worse for wear after eighteen hours in the air. Her husband was a mild little Italian who took care of shepherding the children. We bedded them down and went about lining up our act for David. The next morning, the two characters from Central Casting arrived, and they were perfect. The woman was fat and blowsy, with stringy, greasy hair, and the man was just right–loud and fast-talking with a typical Italian accent. The way we staged it was for me to go into David’s office first, knowing that he would want to know what I thought of the recently arrived Italian star. He did just that, and I hesitated, as if I didn’t want to talk about it, and of course he bit. I fumbled around and finally blurted out that “The goddamn dame doesn’t speak English.” David was out of his chair like an exploding cigar. I went to the door and in came our couple. I said, “Mr. 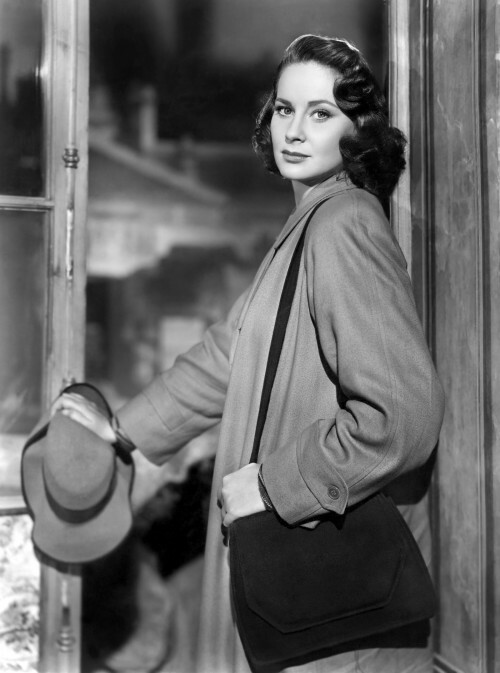 Selznick, Ms. Valli.” She bowed her head and mumbled something, but her “husband” rushed in and stood in front of David. David was beside himself. O’Shea had come into the room. Suddenly David knew it was a put-up job, and he began to laugh. He clapped the “Italians” on the shoulder for a good job, and they filed out. Then he turned to O’Shea and me and said, “Don’t you bastards put the cost of these two characters on your expense account.” Everything turned out fine as far as Valli was concerned. She was on the set two days later. Posted in Actress, Film history, Film producer and tagged Alida Valli, Dan O'SHea, David O. Selznick, Paul Macnamara, The Paradine Case. Bookmark the permalink.